Happy belated Valentine's Day everyone! This look is a little overdue as I've been a little bit sick recently, but I've finally gotten around to editing the photos and uploading. As you probably guessed, one of my favourite colours is green (the hair totally didn't give you any hints) so I was really inspired by this gorgeous colour for my Valentine's Day look. 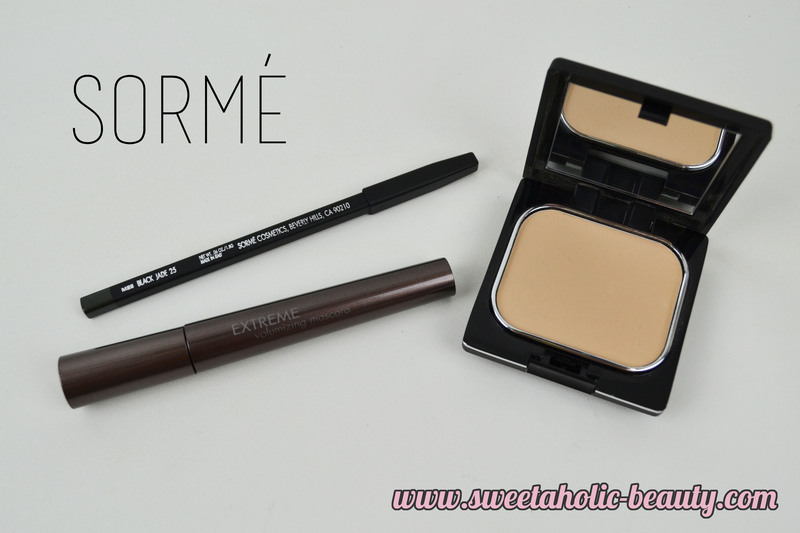 I was sent some amazing products from brand Sormé Cosmetics, which is a brand I had not heard of before, so I was excited to try them out. I was originally supposed to try out their products for a Christmas look, but I ended up having trouble with my camera and photos, so I decided to just redo it for Valentine's Day! I decided to stick with a softer look this Valentine's Day. Sweet lips and a subtle smokey eye. I used the Sormé eyeliner in Black Jade which is a stunning deep green on my upper lid and lower lash, which blended well with the Sugarpill shade Subterranean. 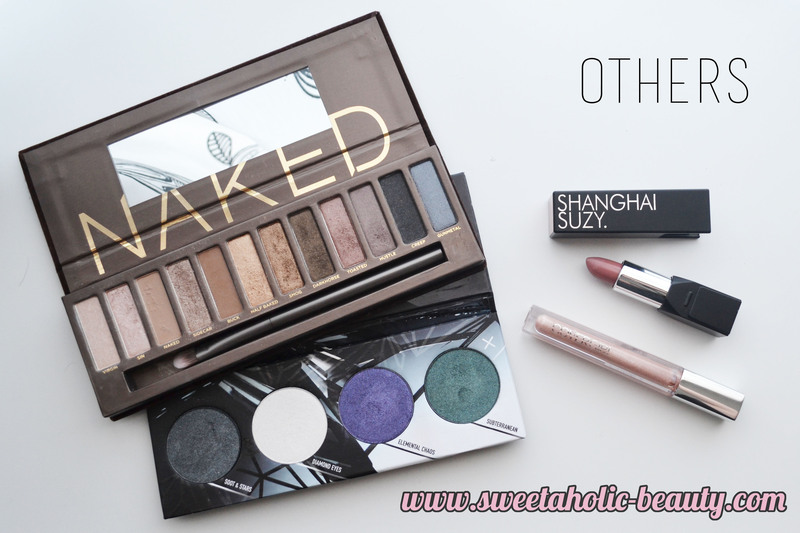 I also highlighted the lid and inner eye corner with some of the shades from my Urban Decay Naked palette. The Sormé Extreme Volumising mascara gave me the perfect fake lashes look. For my base, I only used the Sormé Believable Finish Foundation in Natural Buff; the lightest shade available. I was super impressed with how this foundation worked; it was a pressed powder but went on like a mousse foundation. It gave off a perfect medium-high coverage finish, no finishing powder required. For my lips, I started with a my lips but better shade; the Shanghai Suzy Miss Leah Baby Cocoa. I didn't feel like rocking a matte lip this Valentine's though, so I finished my lips off with the Covergirl Colourlicious Lip Gloss in Honeyed Kiss. I was really excited about this eyeliner. I do have a fair few coloured eyeliners (as well as black eyeliners, while we're at it) and this one is a great addition to my collection. It goes on incredibly smooth and stayed put all day long. I didn't expect too much from this mascara, as this was an unknown brand to me before and mascara can be difficult to master for some brands. However I really liked how this mascara worked, it gave me extreme volume and was a very deep black. Wow, this foundation is my new favourite. I've used it a few days in a row now, and I'm in love. This is like a pressed powder, but when you use a makeup sponge to apply, it goes on like a mousse foundation. This gives the perfect finish, and I don't even need a powder finish. I used shades Sin and Sidecar to highlight my eyeshadow look. Two of my mot used shades, if you can't already tell from the usage on the palette. As mentioned before, I used only the Subterranean shade. This is one of my favourite greens, as it's so deep and has a shimmer finish. I was originally planning to pair this with the shade Soot & Stars, however I didn't want the look to become too dark. This is one of my favourite lipsticks from Shanghai Suzy. The shade suits my skin tone perfectly. It's a great shade to throw on when you don't feel like spending ages applying a lippie as it goes on so easily, and dries matte for that perfect very day look. This is becoming a new favourite of mine. This is a translucent shade which goes on really pretty by itself, but makes the perfect finish for some shades. I'm still experimenting with other shades, so I'll keep you posted on that one. Have you tried any of the above products? If so, what are your thoughts? What do you think of my Valentine's Day look?? I really love the new lips and dramatic eyes, great look! Sorme sounds like they have nice products, I like the sound of the foundation. Lovely look Jasmine! Absolutely loving this look on you - that eyeliner is subtle in colour but that makes it even more stunning in my opinion - lusting over that now! Love the eyeshadow and your hair color!